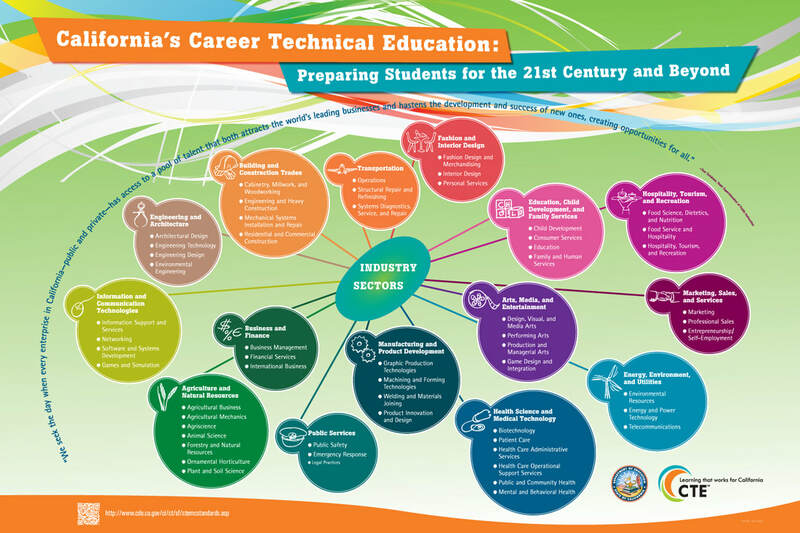 Career Technical Education (CTE) provides students of all ages with the academic and technical skills, knowledge and training necessary to succeed in future careers and to become life-long learners. Norco High School has offered many CTE programs since it opened in 1966 and have recently expanded its offerings to meet the growing demands of the industries within the Inland Empire. Each program offers a unique set of industry skills with some courses that meet the California UC a-g requirements, some are articulated with nearby colleges which earn college credits, and others that provide an official certificate within an given industry. A CTE Pathway is an established set series of classes that are designed to build upon a set of skills within a given industry. A pathway, by definition, is completed when a student completes at least three courses within the list of courses, and ideally, the fourth year is an internship within that course of study. When students complete a pathway, students have a solid understanding of an industry skill that can be shared on a job or college application. While each of Norco High School's classes and programs are unique, the * listed by each course indicates the significance as it pertains to a-g requirements, NCAA requirements, and college articulation. There is a lot of work being done as we build our new and expanding programs, so check this website often for timely updates! Both STEM (Science, Technology, Engineering, and Mathematics) and CTE (Career Technical Education) are similar in that it prepares students for current industry demands in the workforce. According to the U.S. Department of Education, all students must now be prepared to think critically and become innovators, educators, researchers, and leaders who can solve the most pressing challenges facing our nation and our world, both today and tomorrow, as indicated by the job chart to the right. What's the difference between STEM and CTE? STEM focuses primarily on preparing students for careers in the science, technology, engineering, and math fields, such as the medical, computer science, engineering, and robotics fields, just to name a few. CTE, on the other hand, incorporates a more focused effort on training students for a specific job, whether it is (1) a certificate earned at the end of the pathway (at graduation) that can be used to obtain a job immediately after high school, (2) completing courses that also count towards a specific college certificate or degree program, or (3) providing training in a field that students may pursue a degree or career in. Both STEM and CTE, essentially, train students for a career path so that students do not simply graduate with a diploma, but, rather, graduate with some training in a given industry or job skill. Norco College Concurrent Enrollment - attend college while also attending NHS (must be age 16)!